Set at Maple Ridge Farm, the landscape’s rolling hills and majestic oaks provided the perfect backdrop for Rena and Matt’s uniquely western inspired celebration. The bride’s lovely gown concealed a favorite pair of cowboy boots and the groomsmen wore jeans! 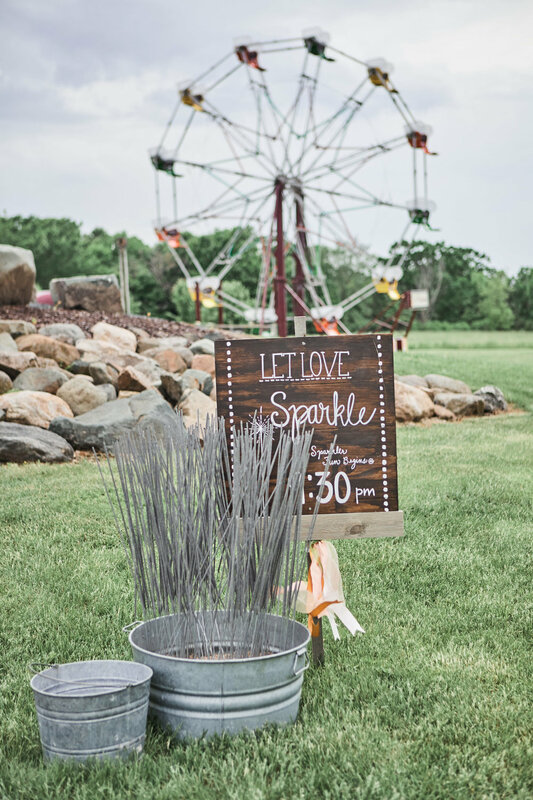 A full-size Ferris wheel, and flame-throwing performance by the bride’s brother, along with yard games, and an old fashioned barn dance guaranteed an enjoyable experience for all! As the sun set, the couple stole a kiss as they enjoyed a private ride on the Ferris wheel.